Welcome back to A Bowl Full of Lemons. 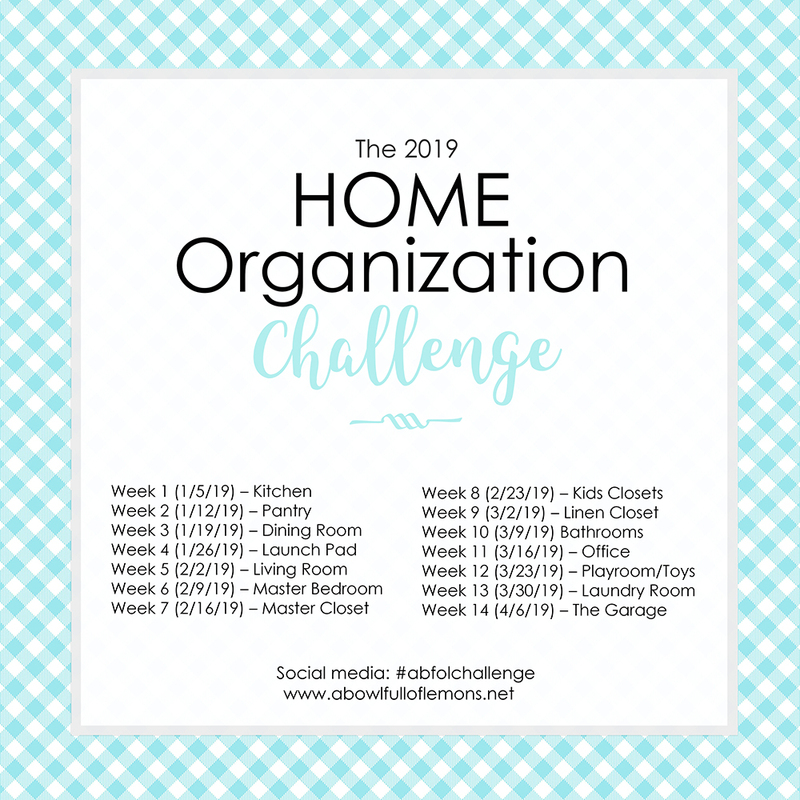 If you’ve been participating in the organizing challenge, way to go. 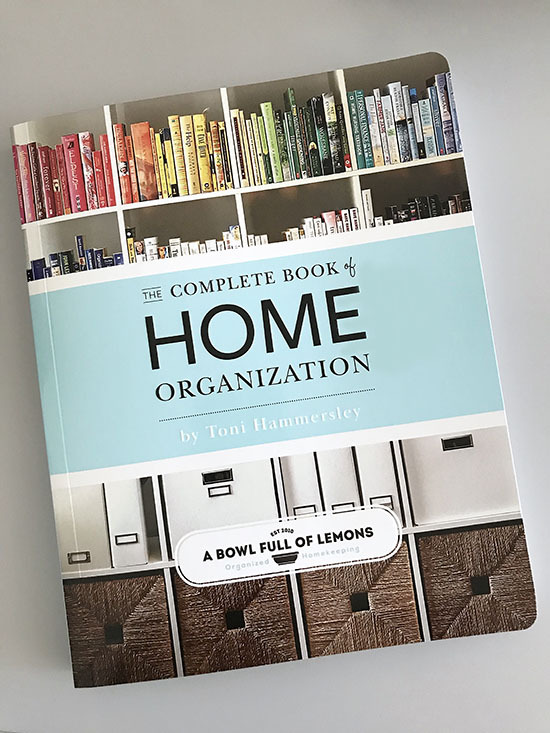 Last week, you cleared the clutter from your home office. That is a major accomplishment and you will start to reap the benefits of this organized space. We are now entering week 12 of the challenge – the playroom or hobbies (scrapbooking, sewing, home gym, etc). 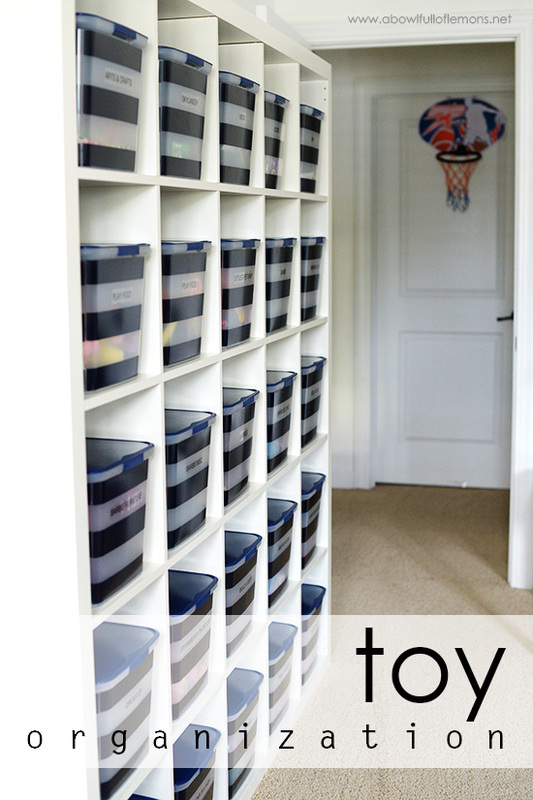 It’s time to have a little fun and create an organized toy or hobby space in your home. Are you ready to get busy? PREPARE: Gather 4 bins, one for each of the following. My kids no longer play with toys, so this post is here simply to inspire you. Our new “toys” are in our home gym. My family loves to exercise and that’s where we spend a lot of our free time. I will share our new home gym aka “toy room” with you on Tuesday. 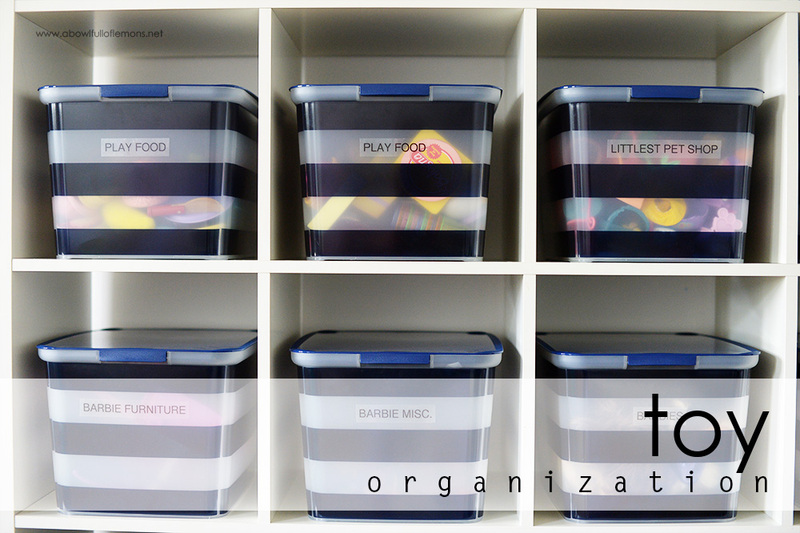 When our kids were longer, I kept their toys organized in these bins (from Target). The shelf is from Ikea. I labeled the bins clearly, so there wasn’t any confusion as to where things needed to go. They picked up after themselves and it always stayed pretty clean. 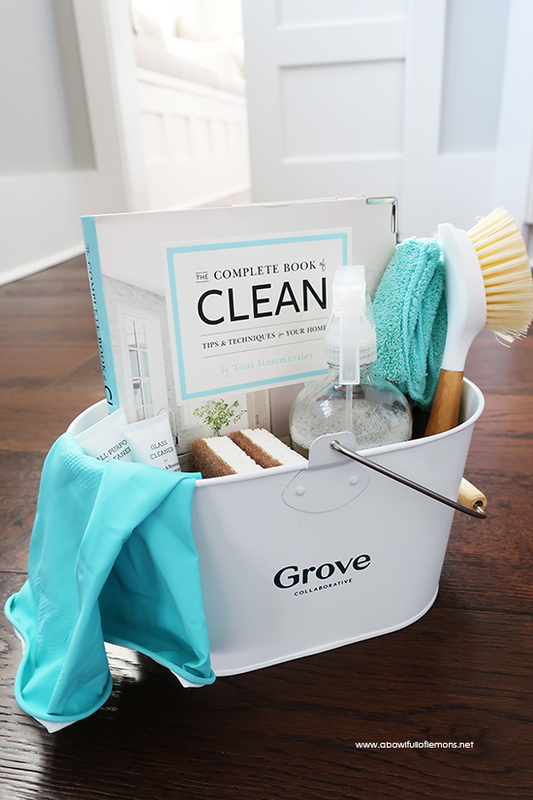 This is a great organizing solution families who have children in this stage of their lives. 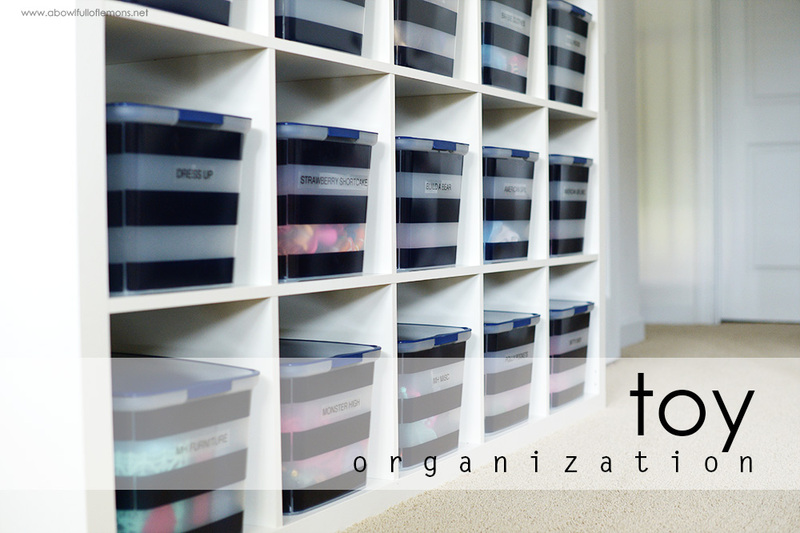 Here are few more blog posts that will inspire you to get toys organized.